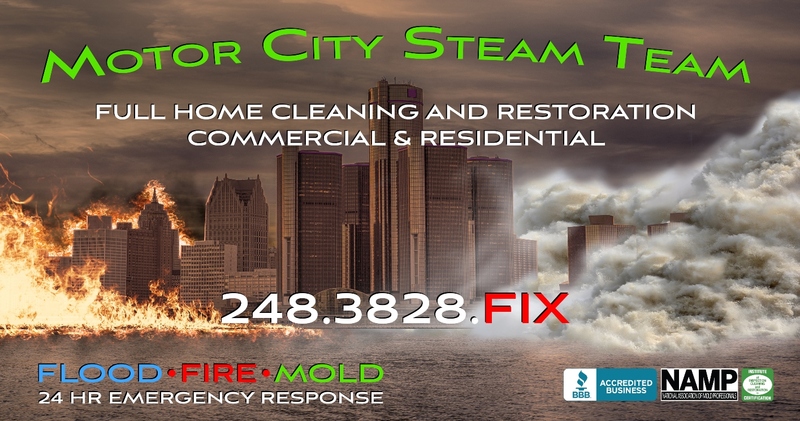 Motor City Steam Team, LLC, provides you with the help you need for water or flood damage, mold remediation, air quality testing, and much more! We understand the need to make your home livable, so we work hard to complete every job quickly with a large crew. Our work is very thorough and you won’t believe it’s the same house once we finish. John McCaig is the business owner and has been in this industry for over 15 years. He is a regular volunteer for search and rescue team for natural disaster recovery. John is in this business because he truly cares and loves helping people. Contact him today for a free consultation…. The service was excellent and quick. They provided results within one day of testing. John assisted my family in every possible way. He went above and beyond what I would expect. Everyone was very pleasant and knowledgeable and worked like dogs to get the job done. John was great to work with. Everything they had to rip out of the house was cleaned up by the crew before they left. Very professional! Scheduling was easy, the crew worked on their own and finished the complete removal of all the drywall up to the ceiling in my basement in my basement, cleaned the carpets and the ducts in the house within 3 days. Quite happy with the result and would recommend this company to anyone. I hired them to do some remediation work in the basement of a house that we recently purchased and have had nothing but nightmares in. They were very respectful and thorough and even treated the rest of my house for improved air quality. They did the demolition work of my finished basement and cleaned everything very quickly and thoroughly. I will recommend them to everyone that asks! John, the owner, and his crew did a fabulous job and went above and beyond my expectations. There price was very reasonable compared to the other quotes I got. I would recommend them to all. They also used my mom's lockbox to get in and out and were completely trustworthy. The basement looked incredible when they were done. I could hardly believe it was the same basement. John was the best! I asked him to check for mold in my new camper because I kept smelling a musty/moldy smell in the kitchen cupboard. He kept me posted the whole time he worked on it and as soon as the test results came in he called to let me know. 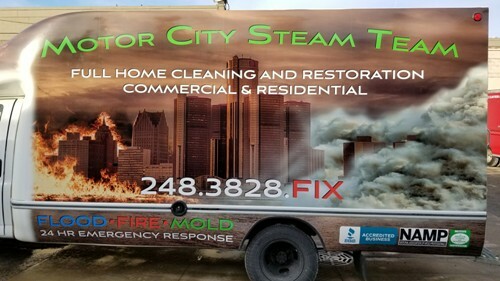 [no mold] I will definately hire him/company again and I highly recommend Motor City Steam Team for all types of projects and testing. We are in the process of selling our home and needed mold remediation services ASAP in order to close on our house in time. John and his team were incredibly helpful, professional, thorough, and most of all quick. I would ABSOLUTELY recommend this company and could not be happier with the level of service we received. "We needed mold remediation on our home after finding it in a home inspection, John and his crew came out the very next day gave us a quote which was a great price. They were out the next day to complete the job and did very good work. I would hire them again in a minute! If anyone need excellent work and service they should look into hiring them!